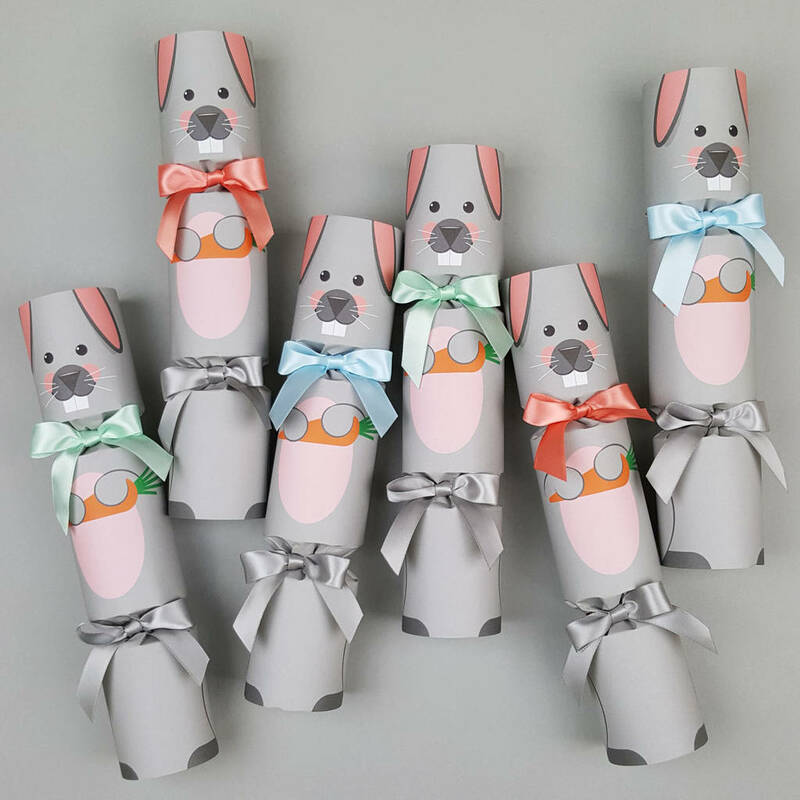 Luxury Easter crackers - the perfect festive essential for your Easter celebrations. Friends and family gather over a long Easter weekend and enjoy a good, unhurried meal together or gather together for an Easter egg hunt or long spring walk. 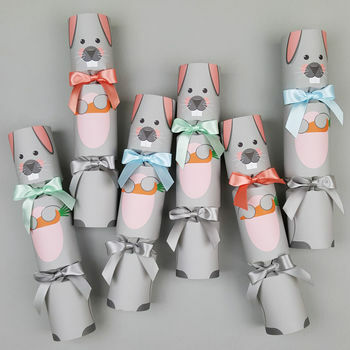 Delightful bunny design adorn these luxury crackers, finished with handsome silk bows. 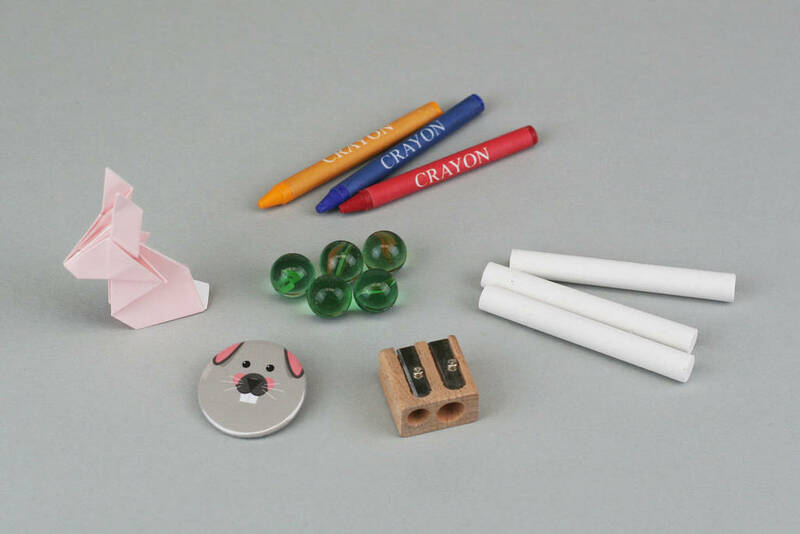 GIFTS INSIDE - containing the finest gifts -- wax crayons, badge, chalks, wooden double pencil sharpener, marbles and origiami set -- silver or gold foil paper hat, joke and of course the snap! Made with beautifully thick paper stock, finished with ribbon. Six crackers come in a presentation box. Perforated for the perfect break. Each cracker measures 25cm x 5cm.